Calves can provide a welcome revenue stream on many dairy farms. 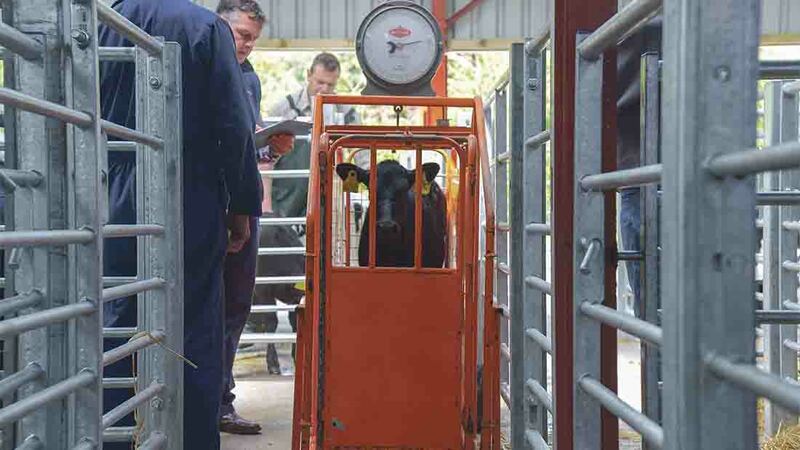 Katie Jones went to a calf collection centre in Wrexham to find out how it operates. The calf business is in the very DNA of the Samuel family who have operated near Wrexham since the 1890s. Ian Samuel, the fourth generation of the family to live at Springfield Farm, Marford, is two years into the establishment of a calf collection centre, set up with Buitelaar – who are known for their British veal and beef production. This is very much a family affair, with Mr Samuel’s sister, Gill Jones, and her son, Mark, involved in the weekly calf collections, which now sees about 300 calves come in every Monday. Gill helps deal with the paperwork handed over by the farmer when the calves arrive at the collection centre, while Mark helps source calves from new and existing farmers, as well as helping with the haulage of calves to the facility. The collection centre makes use of an existing shed on the holding and Mr Samuel says he initially thought this would be plenty big enough to accommodate the 90 or so calves they were expecting to get into the centre each week. The shed has now been extended twice to comfortably accommodate up to 400 calves and in an average week they see about 300 calves come in. Most farmers bring their own calves into the centre throughout the day on a Monday, although collection off-farm can be arranged for a fee. The farmer is then able to watch as calves are weighed, graded, priced and sorted into batches destined for beef farmers or rearing units. “As farmers can stand and talk to us about their calves they can get a good understanding of the type and quality of calf we require,” says Mr Samuel. Terry Coupe, head of UK cattle procurement for Buitelaar, says the company aims to work closely with dairy farm suppliers to make sure calves come in at the right weight and performance level. “Calves will come into our collection centres at 14-42 days of age and we are looking for a weight of 52-75kg. Once they have been weighed and the farmers told the price they will receive based on a pricing grid, we can use the details to work out their daily liveweight gain (DLWG) up to that point,” explains Mr Buckingham. 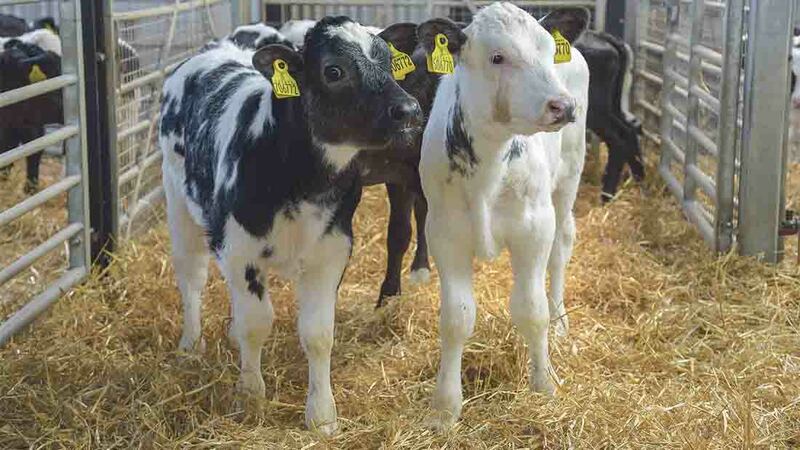 “These DLWG figures are sent back to the farmer so they know how calves are performing, and we will not sell out, or put, calves onto rearing units if they are not hitting the target for DLWG, which is over 0.4kg/day. Mr Samuel says calves coming into the centre are largely meeting this spec, with only six calves not meeting the Buitelaar system criteria from the 240 which came to the centre the week before Farmers Guardian’s visit. Adam Buitlaar, managing director of the company, explains the business has been built on direct supply from farmer to producer. The knowledge the team can glean from these figures also means underlying health issues can be immediately identified, and this can be fed back to the dairy farmer supplying calves, so any problem areas can be addressed. Mr Samuel says they are now starting to get an idea of what will come in on a Monday, which can help them match the orders from rearing units which are usually made on a Friday. “Ideally we want farmers to book calves in on a Thursday and Friday so we have the time to match what is coming in to what is going out,” says Mr Samuel. The bulk of calves will leave the centre on organised haulage on a Monday, going to rearing units. The large number of calves received at the collection centres run by Buitelaar means beef farmers can take delivery of a full batch of calves in a single day. While the centre started off taking predominantly black and white sired bull calves, which is what Buitelaar is generally known for, Mr Samuel says it quickly came apparent there were more and more beef sired calves also coming in. Mr Coupe says he expects to see an increase in the number of beef sired calves coming through later in the year as more dairy farmers continue to put cows to beef sires. “Most of these go to rearing and finishing units for veal and beef. Buitelaar have several links with high-end retailers and restaurants, however we are getting more good quality calves available for sale direct to farm,” explains Mr Coupe. As the number of beef calves coming into collection centres increases, he says the company will be looking for additional rearers, finishers and direct farm sales to join the network.